Flash is a format container loaded with SWF, FLV, F4V etc., usually played by Adobe Flash Player on the internet. It's widely used on the world wide web for compressing video size and promote the site response speed meanwhile. Moreover, many notable sites are employed with the flash embedded video like YouTube, Facebook, Yahoo Video, Dailymotion, Metacafe, and many more. In light of the wide use of the flash video, the need of flash download on Mac is increasing daily. When you watch your favorite video on the website, there must be some time you desire to download the flash video on macOS (including Mojave). To do this, a flash video downloader is enough to trust and rely on for flash animation download. If you are looking for such a program, MacX Video Converter Pro will do the job for you effortlessly. 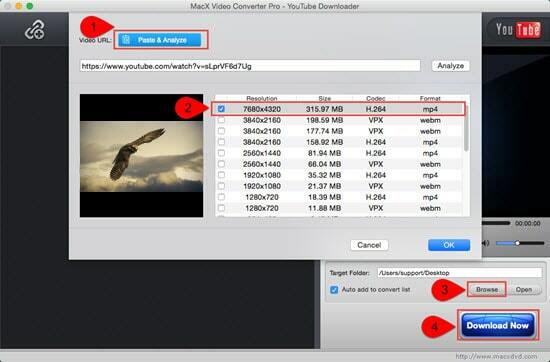 MacX Video Converter Pro as a professional flash player video downloader or rather a FLV video downloader for Mac, is capable of downloading flash SWF, FLV, F4V videos on Mac computer from YouTube, Vevo, Facebook, Metacafe and many more. Besides, the advanced YouTube Download Engine enables MacX Video Converter Pro to download flash video for Mac within a few minutes only in original quality and it takes no time to load. 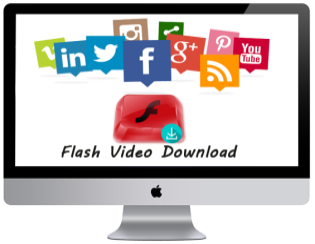 1 Free download this flash downloader on Mac and run it. Click YouTube button, copy and paste your video URL to the box frame. And analyze for the details of the video. 2 Select the video resolution, size, formats you want. 3 Select the output folder to save the downloaded flash videos on Mac computer. 4 Press "Download Now" button to start saving adobe flash video download on Mac. You can check "Auto add to convert list" to convert or edit the video later. Besides a flash player video downloader, MacX Video Converter Pro is also a video converter, competent to convert videos to MP4, AVI, MOV, MKV, both the downloaded flash videos and local videos. 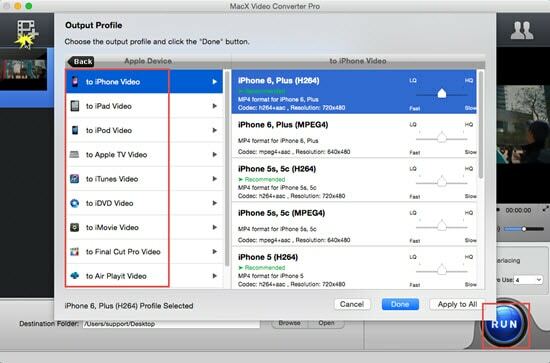 In the meantime, if you want to watch your favorite video offline on iPhone iPad and Android devices, you can simply choose the preset profiles for your device including the latest iPhone 6s/6s plus and iPad Pro. Straight click "Auto add to the convert list" in the downloading process or "Add Files" button to import the desired downloaded flash video, then choose the output format and click "RUN" button. All things are done.